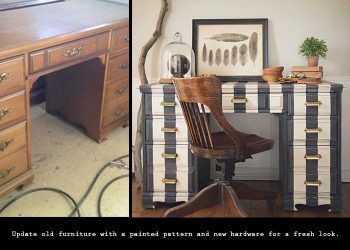 All furniture makeovers in a rustic or chic style. 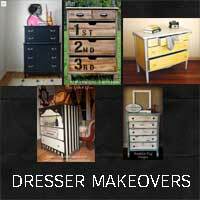 Before you throw out that old dresser, check out all of these great dresser makeovers that may inspire you to tackle a transformation project of your own. 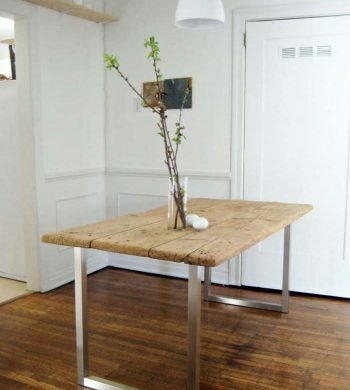 If you don't like the style of what you've been given, change it. 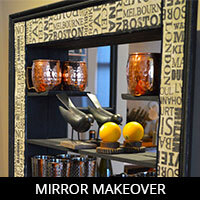 This mirror makeover project shows how I upcycled an old mirrored display shelf into a fun and trendy barware display. 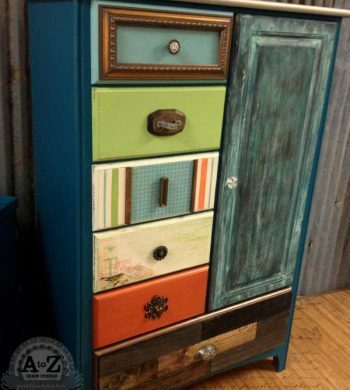 The new shelving unit was quick and easy to do and there was no need to throw out the old to buy something totally new. 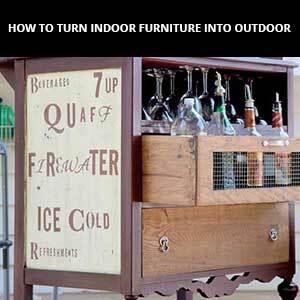 Knowing how to distress wood is a great skill to learn for making your new piece of furniture look antique. 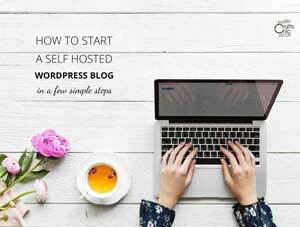 See how guest blogger, Kelly Mahan, gets this done. 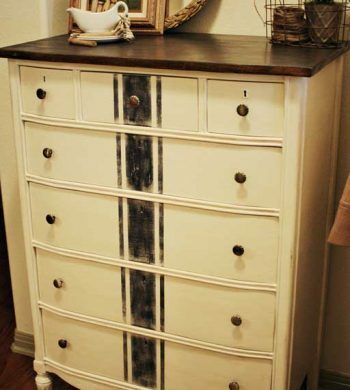 See how you can turn old and neglected dressers into beautiful new furnishings with these five dresser makeovers that will be sure to inspire you. 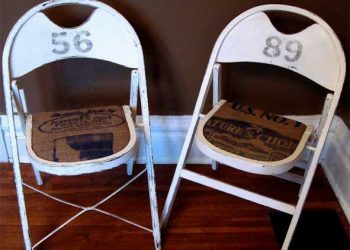 Pull out your drab folding chairs and make some fabulous party chairs with these amazing ideas for folding chair makeovers.